The FBI announced Tuesday that it has reached 1 million followers on Twitter. 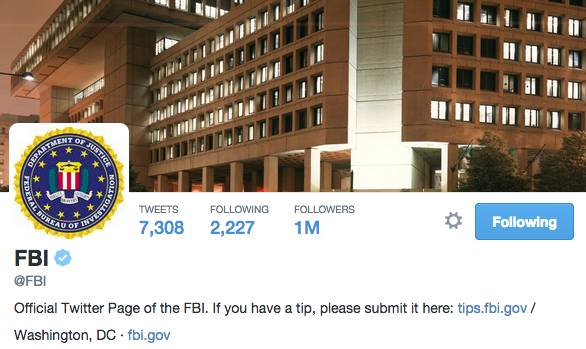 That’s quite an achievement for a federal agency that uses social media to help capture suspects, locate missing children and warn of dangers. Posted: 10/29/14 at 8:37 AM under News Story.